Ultimate broad spectrum antioxidant sunscreen SPF 50+ and free of chemical absorbers. Apply liberally and spread evenly by hand 15 minutes before sun exposure. Re-apply after swimming,excessive perspiring, or anytime after towel drying. Use a water resistant sunscreen if swimming or sweating. Use on children under 6 months of age: consult a doctor.When using this product keep out of eyes, rinse with water to remove. InactiveingredientsAcrylatesCrosspolymer-4,Ascorbic Acid,Ascorbyl Palmitate,Biotin, CamelliaSinensis (Green Tea)Polyphenols, CetearylAlcohol, Ceteth-10Phosphate, CetylPEG/PPG 10/1Dimethicone,Cyclopentasiloxane,Dicetyl Phosphate,Disodium EDTA,Emblica Officinalis FruitExtract, GlycerylIsostearate, LaurylPEG/PPG-18/18Methicone, NeopentylGlycol Diheptanoate,Phenoxyethanol,Phospholipids,PolyhydroxystearicAcid, Potassium CetylPhosphate, PotassiumHydroxide, PurifiedWater, RetinylPalmitate, Resveratrol,Tocopheryl Acetate,Ubiquinone (CoenzymeQ-10), Xanthan Gum. Normally I don’t write a view this soon but I was so impressed by this product I couldn’t wait. I’ve never used a mineral sunscreen that is this completely sheer and comfortable. NO WHITE CAST AT ALL! 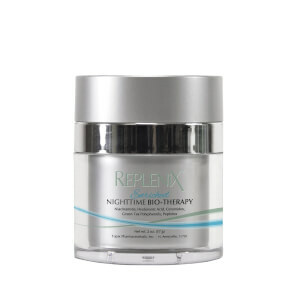 This is straight up Zinc Oxide and it will provide effective and robust broad spectrum protection. It doesn’t need titanium dioxide or other filters to keep it stable. The best part is that the product blends in flawlessly no matter how much you put on and with NO GREASY FEELING!! I wish it came in a larger size. Hopefully one day. I love the design of it's ingredients! Very clear method. A excellent sunscreen with antioxidant. Straight to the point. One of the best sheer physical sunscreen! I like the physical sunscreen. This one is non-greasy so it can easily go under makeup or on its own. Doesn't make me ghostly. Absorbs well. I even put it on my eyelids and there is no stinging. Just be aware: it's not water-proof so not a good choice for beach or intense physical activity. 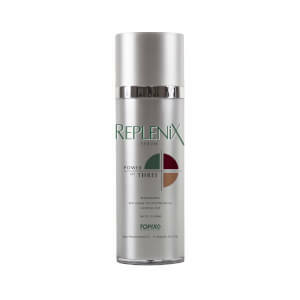 Replenix is an all physical sunscreen that doesn't leave a white cast, however, it simply just didn't feel "healthy' on my skin. All day long I noticed my cheeks and forehead were pink and I felt a very slight burning sensation. It was barely noticeable, but still enough of a sign for me not to continue using it. It does have an EWG rating of 6, which is too high for me. I switched back to Suntegrity. This sunblock is really moisturizing but not sticky at all. It feel moisturizing at the moment you apply on, but very soon your skin feels like there's nothing ever happened. And my friend recommended this because of it's good ingredient. glad that I got this. btw my skin is kinda dry in winter , a bit dry in summer. This is a great sunscreen. It is not greasy or chalky and goes well under makeup. Understanding the necessity of wearing a good sunscreen, especially living in Florida, I have tried more than I can count. This one is a clear winner! 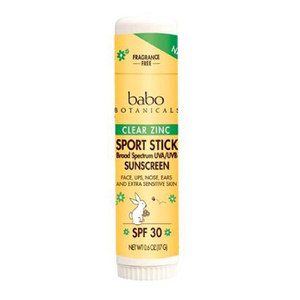 Unlike so many other sunscreens, this one glides on easily to create a sheer, effective barrier against UVA/UVB rays. It doesn't go on white and require a lot of rubbing to get it to turn clear, it's not greasy or sticky and truly has no unpleasant scent. There are also lots of good, nourishing ingredients besides the zinc oxide. Though I typically don't use a foundation, make-up or a sheer powder is easily applied over it. I have already recommended it to friends and to my aesthetician. Love this sunscreen cream! It absorbs into my skin and leaves it feeling great, not oily or greasy. It is a bit pricey for the size of container, but only a small amount is needed for face. I will definitely continue to buy this product.